Two days after the Andhra Pradesh government granted permission to cinema halls to screen three special shows in addition to four regular shows, the Telangana government on Tuesday allowed theatres to screen a special show. 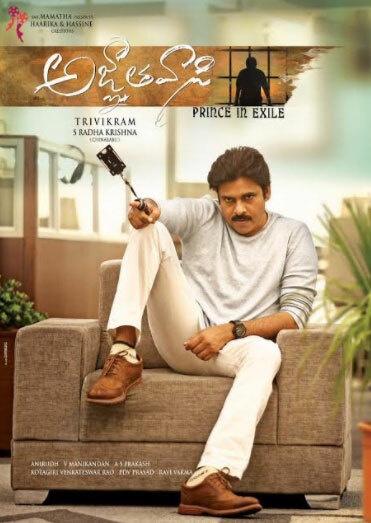 The much-awaited movie “Agnyaathavaasi” of leading Telugu actor Pawan Kalyan, releasing on Wednesday, will have seven shows in cinema theatres in Andhra Pradesh and five in Telangana. Fans have been waiting with bated breath for the film to release and is one of the most awaited films of this year. The advance booking of the film has already received a great response. The star’s fans and cinema enthusiasts in both the Telugu states are expected to enjoy ‘Sankranthi’ holidays as both the states relaxed the rules for screening the movie between January 10 and January 17. The audience will be able to enjoy the film on the holiday weekend. While theatres in Andhra Pradesh can screen special shows from 1 a.m. to 10 a.m, in addition to regular shows between 10 a.m. to midnight, theatres in Telangana have been permitted to have one special show from 8 a.m. Directed by Trivikram Srinivas, “Agnyaathavaasi” is the most awaited movie of Tollywood and the advance booking for the tickets has already received huge response. It is expected to be a blockbuster at the office box. The director is known for his hard-hitting yet entertaining cinema. It is reported that Pawan Kalyan took two minutes to say yes to this gripping story that promises action as well as humor. Film’s music has also become quite popular among the masses. Anirudh Ravichander’s soulful music album has added to the film. Popular as a power star, Pawan Kalyan, who is also founder of political party Jana Sena, has a huge fan following in both the Telugu states. Keerthy Suresh and Anu Emmanuel will also be seen in the film.